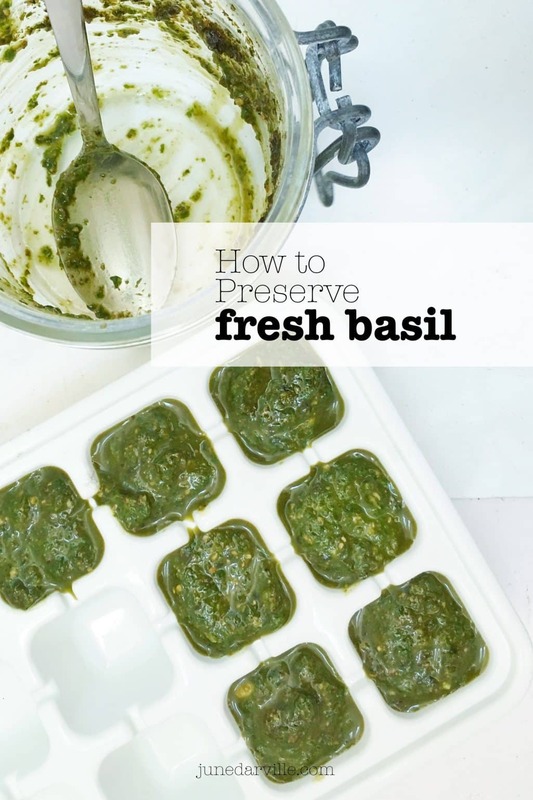 Preserving Basil All Year Long | Simple. Tasty. Good. 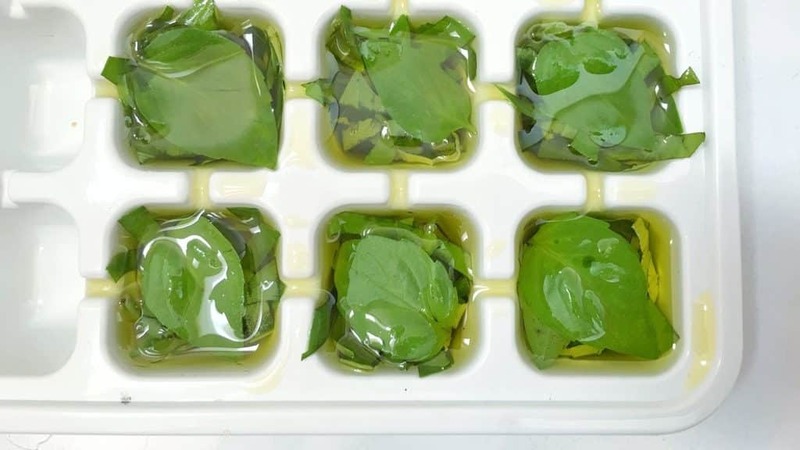 There are a couple of methods for preserving basil all year long. You can dry the basil leaves in the oven for 2 to 3 hours at low temperature. Or blanch the leaves for just a split second in warm water, dry them and freeze the leaves separately. 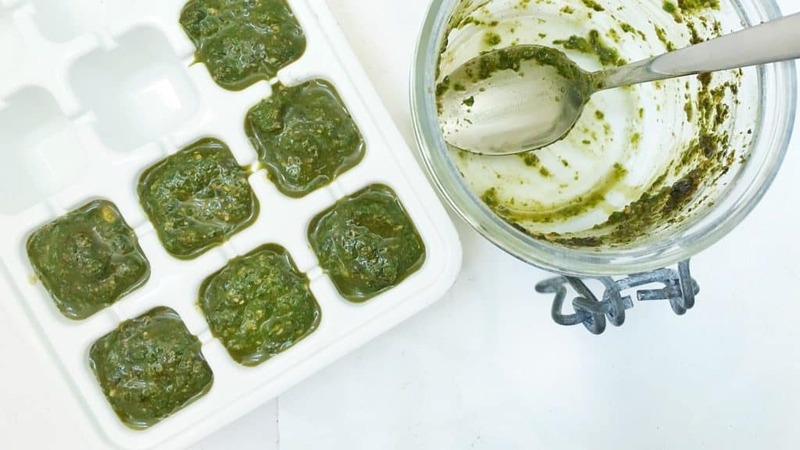 My favorite way to preserve fresh basil is to puree it, make a fresh basil pesto and freeze it into small portions in an ice cube tray. Fail proof! And very handy and ready to use in lots of recipes. I love to add them to soups, risotto, pasta, vinaigrettes or potato mash. So here’s how simple it is! Do you like my pictures and my blog? You can do it too! Learn FOR FREE how to start a food blog and make money with it just like me! Just click here.